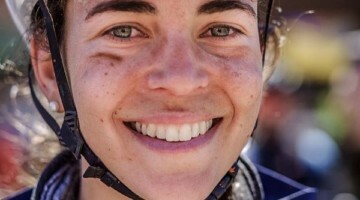 Despite hailing from Down Under, Peta Mullens is likely a household name for many U.S. cycling fans after her full U.S. road seasons in 2016 and 2017. 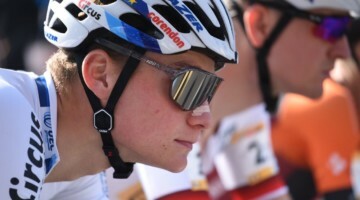 This year, Mullens is racing for the Hagens Berman Supermint Cycling team and has recorded ten wins, including the Athens and Tulsa Tough Criteriums, in races across the U.S.
Last week, Mullens returned home to Australia to race her home nation’s Cyclocross National Championships. 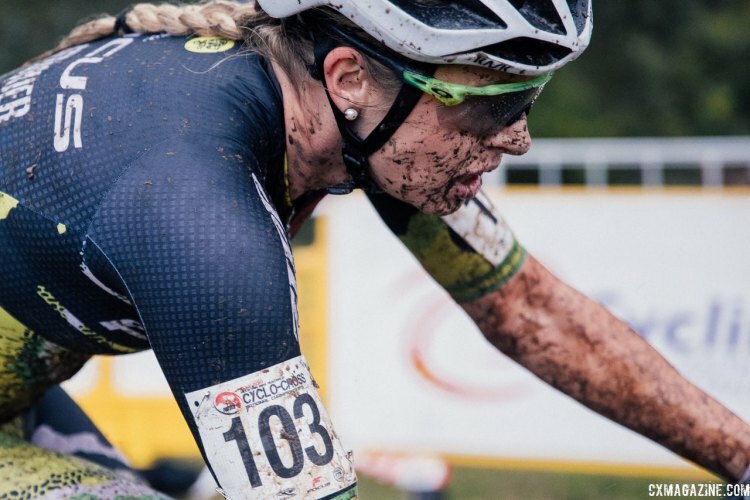 Despite competing in just her fifth ever cyclocross race, Mullens beat out Natalie Redmond to take the crown as Australia’s national champion. 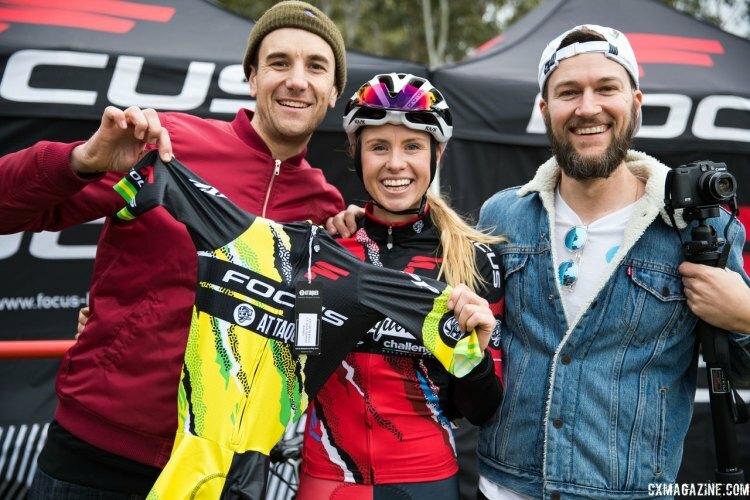 To be fair, Mullens has historically been an avid mountain bike racer and has three Australian mountain bike national championships to her credit, so she does have quality experience in the dirt. 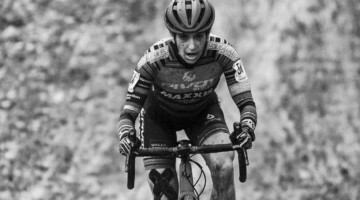 Cyclocross Magazine got the opportunity to ask Mullens about her win and how her U.S. criterium experience helped her out on the cyclocross course. 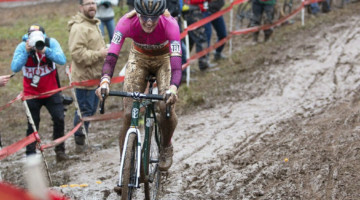 Cyclocross Magazine: What was it like winning Nationals in cyclocross? Peta Mullens: Honestly? 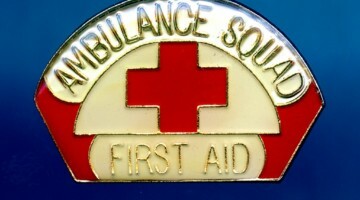 A relief. I don’t think at any point I felt much excitement. It’s not the answer people want to hear but it was emotionally pretty anti-climatic. 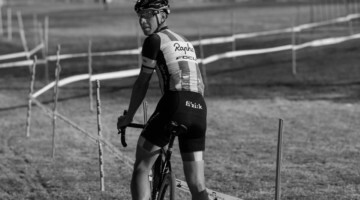 I was really nervous before the race because I hadn’t ridden my ’cross bike for six months. In fact, I’ve only ever ridden it six times in total. I also hadn’t ridden much in the lead up to the event and I’d put on a handy three to four kilograms while on an American diet. 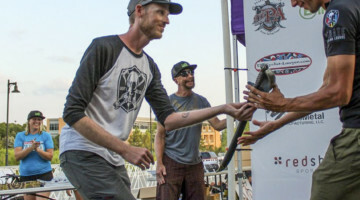 I also have no ’cross skills, no awareness of the limits of my tires and I was unsure of my physical condition, but I knew I wouldn’t be able to handle anything less than a win after losing by one second last year. I definitely felt a shadow of expectation from people in my circle, not pressure as such, but just a confidence they had in my ability as an athlete. 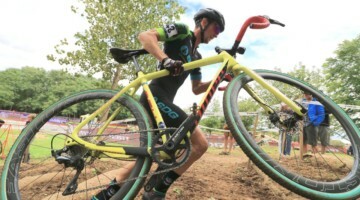 On paper ’cross is a combination of the two disciplines that I’m good at [road and mountain biking], so it seems to make sense, but for those in the know, ’cross is a completely different sport, on a different bike, requiring a different skill set. I was scared before the race because I recognize that, and I wasn’t sure if I was up to the challenge. CXM: I saw you say that you don’t like the mud as much as some of the riders? Just getting used to racing in ‘cross conditions? So yeah, I’d prefer to not race in mud, but that’s more from a practical perspective. I actually won by more in the mud. 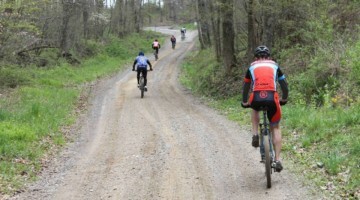 CXM: What aspects of racing ‘cross do you enjoy or not enjoy, especially compared to road? PM: My favorite part of ’cross is definitely the team I have behind me in Focus Attaquer. I can say without a doubt I wouldn’t have raced any ’cross this year without them. They’re an amazing group of guys backed by a supportive network of sponsors and I just really enjoy being a part of that family. 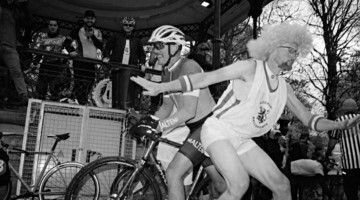 I think if I was to delve into the sport further I’d enjoy everything outside the scope of pedaling: line choices, jumping barriers, dismount techniques. But the truth is that I don’t really have time to add another cycling discipline to my palmares. I’m already racing on the limit at 100 days a year and squeezing in four ’cross races last year was already a challenge for my coach Mark Fenner. If I compared it to road, I love that the “best man” wins in that there are no lucky breakaways in cyclocross, and compared to mountain biking, I love that the racing is closer. For example, there was only a 30-second gap between the top four at Nationals. 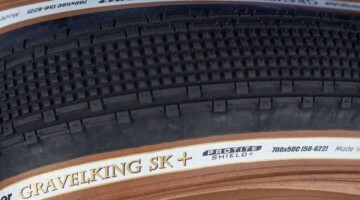 CXM: Looking at crossresults.com, it seems cyclocross is new for you. Have you been enjoying racing cyclocross the last few years? PM: It’s very new to me. Last season I got a Focus Mares and competed in four races, and I finished second in all of them including the National Champs. “Race ’cross,” they said. “It will be fun.” Truthfully I didn’t enjoy it at all, I very nearly hated it and even thought about selling my bike straight away. 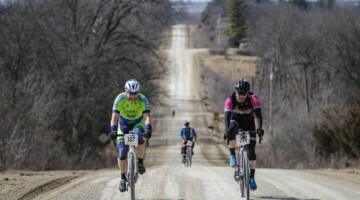 But then I did a gravel grinder in February and absolutely loved it, so I decided to give ’cross another go this year starting with the National Championships. I enjoyed it more than last year, but I’m still not sold on it like I am on mountain biking, mainly because of the winter aspect. Maybe time will tell. 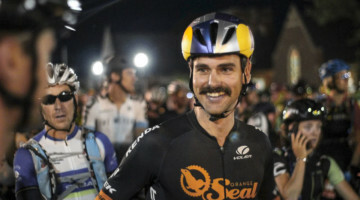 CXM: Most U.S. cycling fans probably know you from the road. 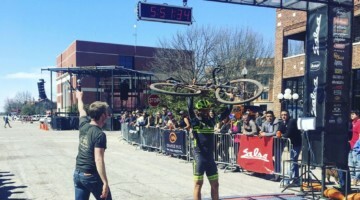 Did any of your criterium experience help you at Nationals? PM: Yeah, to a degree. Firstly, on the physical side, my body is quite accustomed to racing for less than an hour with a heart rate of 180. Secondly, on the mental side, I like to play with my competitors. I’ve had a lot of practice at remaining calm and racing tactically even when I’m on my limit. 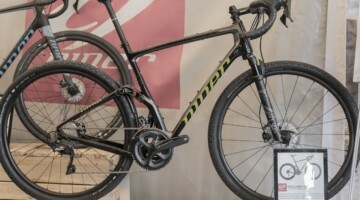 CXM: Do you think ’cross is more favorable to a road rider or mountain biker? PM: Well, I’m biased for believing that most mountain bikers would make amazing road riders, but not vice versa, so for that reason I would always pick mountain bikers. But if I phrase the question around whether skills or pedal power is more important in a cyclocross race, I would go pedal power every time. 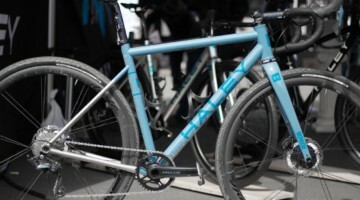 Further to that, a ’cross bike feels more like a road bike to ride and there are huge tactics at play. 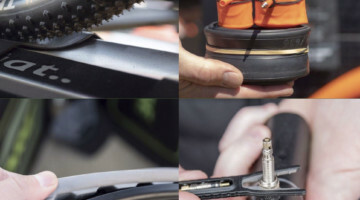 The biggest similarity to mountain bike for me is probably the variety of equipment choices like tires, tire pressure, gear selection, tubes or tubs and line choices. CXM: I think it’s cool you often post ride data after races. Did you have a power meter at Nationals? How did the numbers compare? PM: Yeah, I think it’s cool too! I’m a bit of a geek like that, it’s the coach coming out in me. 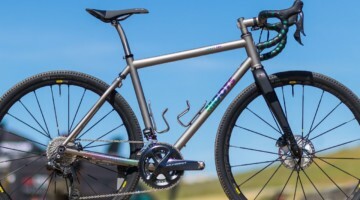 I don’t run a power meter on my ’cross bike, which isn’t surprising considering I never actually ride it, but I agree that it’d be interesting to compare data. I’ll get SRAM onto it. CXM: Do you still get time to ride your mountain bike? Has that helped you with bike handling? And … ride anywhere rad lately? PM: Wow, I haven’t touched my mountain bike since March, so it’s coming up on 5 months, and that was in Bendigo where I live, so not exciting at all. I’m not convinced that the skills transfer to the ’cross bike the way people would expect. 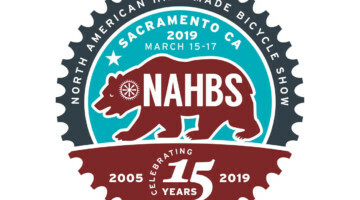 To me the challenge of getting on a ’cross bike compared to the mountain bike is the difference in set-up with no suspension and different handlebars, not knowing the limits of my tires and the physical requirement of accelerating from a standstill. These are probably the skills I’d hone before running, jumping, bike changes and stuff like that. PM: I love the U.S., but I don’t think this is the season for me to squeeze in another bucket list item. I have the World Mountain Bike Championships in Australia in September and then the Commonwealth Games in Australia in April, so my current program is based around those races. I’m sure I could be convinced to make the trip this year, but ultimately I’d like to try and plan something for next season with a few of my Focus Attaquer teammates. CXM: Finally, favorite spot you visited in the U.S. this year? Anywhere you still want to go? PM: Lake Tahoe was beautiful but I honestly didn’t do many training days outside of my race days, so I didn’t have a lot of time to take in the scenery in the U.S. To holiday, my favorite place is Las Vegas, but otherwise, it’s actually Oklahoma City. That’s certainly not for the training but just because I love the people there and the Oklahoma Pro-Am is my favorite weekend of racing in America. 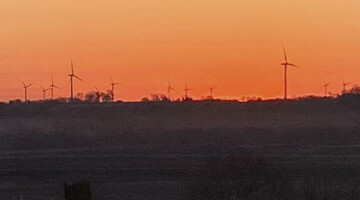 To visit next? I’ve ticked off 17 of the states already, but Boulder, Colorado would be next on the list. Stay tuned to see if we see Peta at the U.S. Open of Cyclocross in Boulder or at other U.S. cyclocross races in 2018. 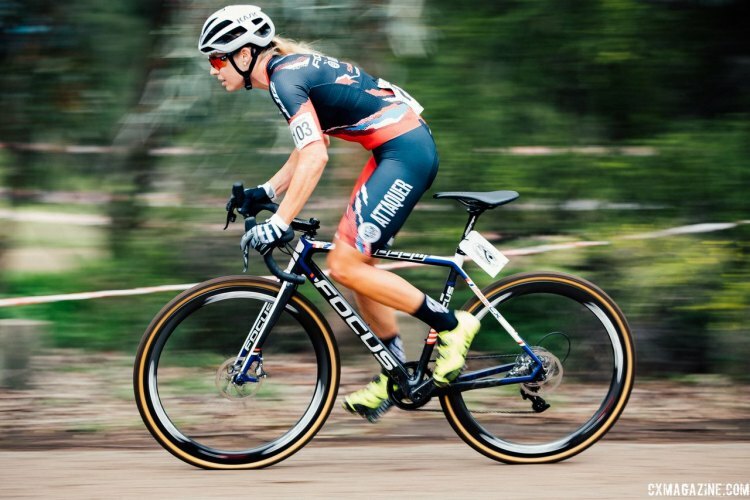 Please see all of our past coverage of Australian cyclocross. 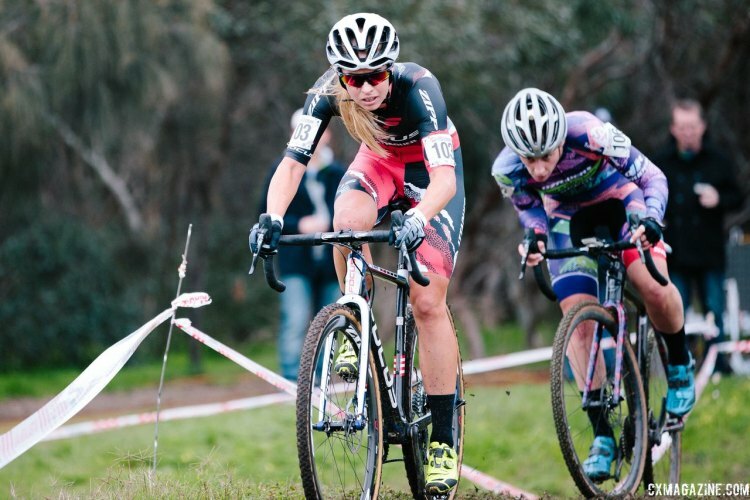 For more information about the 2017 Australian Cyclocross National Championships, check out this write up from our friends at Australian Cyclocross Magazine.